modern-twist, a pioneer in using pure silicone to create elegant, innovative, sustainable products for the home, today announced its newest product, stasher, a revolutionary plastic-free alternative to traditional storage bags and containers. Made of 100% pure platinum silicone, with an innovative pinch-press seal, stasher delivers all of the ease and convenience of self-sealing plastic bags, but without the dangerous consequences. Kat Nouri, founder of international lifestyle brand modern-twist, said, "As a mother of three, I've been making school lunches for years. Every time I used a plastic self-sealing bag, I'd think 'what a waste.' But when it came to ease, convenience and functionality, plastic bags were unmatched‹there were no good alternatives out there." 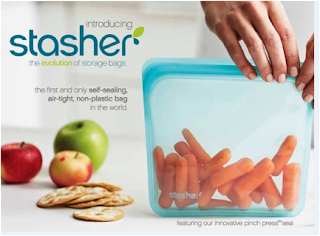 Made of 100% pure platinum silicone, stasher is the world¹s first and only self-sealing, air-tight, non-plastic bag that can safely go from the freezer to the microwave to the dishwasher and is good for people and the planet. Most plastics are petroleum-based and break down over time, emitting harmful gasses and chemicals that can leech into our water, our food and our bodies. Pure silicone on the other hand is a manmade polymer made of abundant natural resources like sand and oxygen, which is hypoallergenic and contains no petroleum, PEVA, PVC, latex, vinyl, BPA, phthalates, or chlorine. Nouri added: "modern-twist is all about designing a plastic-free planet. 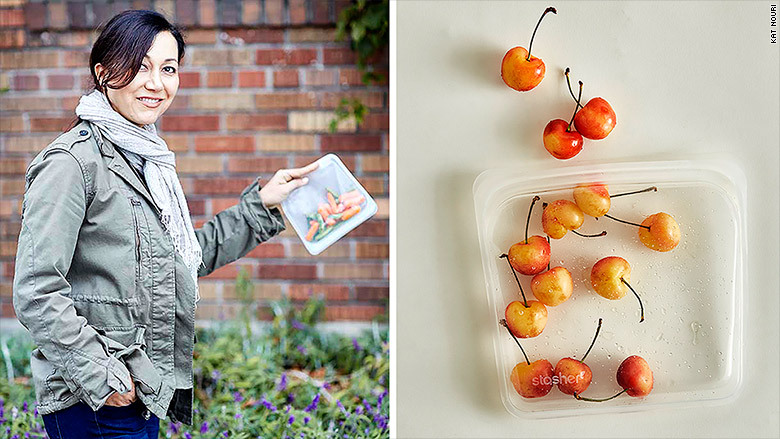 We hope stasher will encourage people to go healthy and go plastic-free." stasher is sandwich sized and comes in six stylish options, including three transparent colors and three whimsical prints for $11.99 each. stashers can be purchased from specialty retailers and online at modern-twist.com. Initially offered in a sandwich size, modern-twist is developing two additional sizes that will debut later in 2016. For more information, please visit www.stasherbag.com. These bags were really neat. I try to use mostly tupperware in my kids lunches, that way we aren't adding to the landfill, but of course when packing a sandwich, you always need a plastic bag. It feels like a waste, taking one out each morning, knowing it's going in the trash. I have been guilty before of asking my kids to bring them home so I can wash them. Now that we've discovered stasher bags, its like having the perfect bag to pack a sandwich in that isn't big and bulky, and my kid doesn't look weird saving a plastic bag for me to wash. These were easy to seal. The bag is light weight, but not overly thin. It's actually pretty thick so you don't have to worry about it being pierced by a fork. It's easily bendable to be arranged in a lunch box. It also doesn't have to be used for just a sandwich. Other food will fit in without a problem. The seal stays. I shook it a few times with crackers in it to see if I could bust the seal and it stayed. It was easy to open too, so no need to worry about your child at school battling with it or having to pull hard and spilling whats inside. It opened easily and then re closed with no problems. They are cute too. You can get plain clear colors or a design on the top of them. This is a great product and an excellent alternative to the plastic bag. I can see these becoming a staple in my household to use not only at school, but during pool season to keep our snacks in and to keep them from getting wet.